Great for use on the bottom of wood bases, plaques, coasters and tiles, round felt pads give extra protection again scratches. Available in black, brown and green. 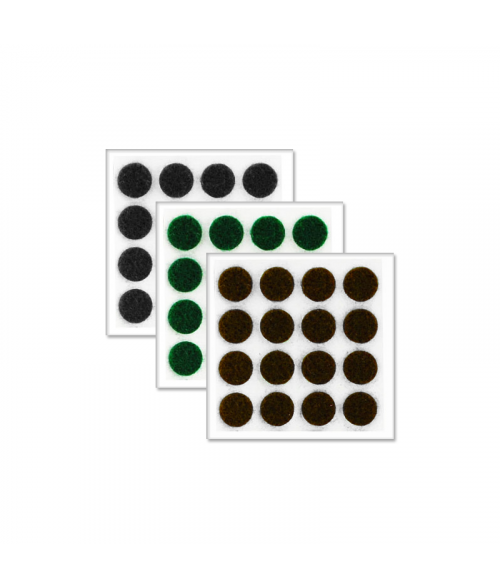 Black and green pads are 3/8" diameter, brown is 1/2" diameter.